IGTOA is pleased to announce that it has awarded $95,000 in Galapagos Traveler Conservation Fund grants to four different recipients in 2018. Since 1997, IGTOA has awarded over $1million in grants to organizations working on the front lines of Galapagos science, education, and conservation. The GTCF is funded by IGTOA’s member companies and through donations from their guests. The future of the Galapagos Islands ultimately lies in the hands of the people who live there, yet there is a fundamental disconnect between many Galapagos residents and the remarkable natural environment they inhabit. Fewer than 40% of Galapagos residents were born in the islands and a majority of residents have not had the opportunity to visit the national park. Furthermore, students in the Galapagos have traditionally lacked access to outdoor learning opportunities; education in Galapagos follows a traditional, classroom-based model, which fails to provide access to the spectacular, natural laboratory of Galapagos. We at IGTOA firmly believe that the most important thing that we can do to support Galapagos conservation in the long run is to help empower young people to become engaged and informed stewards of their own natural heritage. 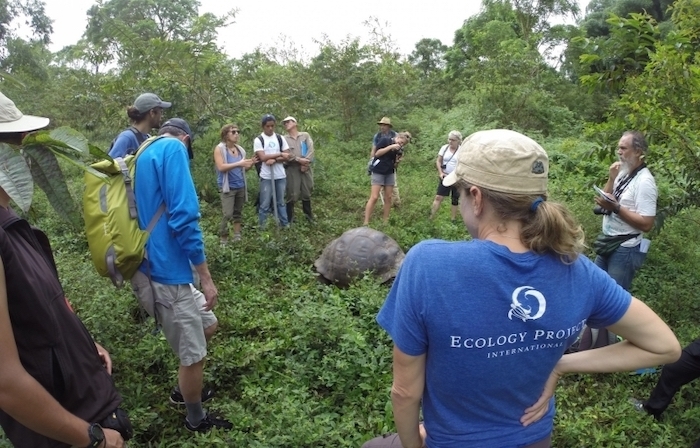 This is why we are proud to once again support the work of Ecology Project International (EPI), whose programs engage students in applied conservation programs that include field research and giant tortoise habitat restoration in partnership with the Galapagos National Park. In 2018, 170 Galapagos students will have the opportunity to participate in EPI’s programs. Since 2003, more than 1,700 students have participated in EPI’s programs. Seymour Norte is a 445-acre island located approximately one mile north of Baltra Island. The island provides key breeding habitat for large populations of blue-footed boobies and swallow-tailed gulls. It is also home to one of the largest populations of magnificent frigatebirds and a sizable population of Galápagos land iguanas. This unique and rare wildlife is now seriously threatened by invasive rodents, which were discovered there in 2017. It is believed that rats reached the island by swimming from Baltra. This is alarming news, as rats are one of the world’s worst alien species, causing significant biodiversity loss as they directly prey on native species, out-compete them for resources, and destroy sensitive habitat on which they rely. The Ecuadorian Ministry of Environment declared the situation a conservation emergency in August 2018. Shortly thereafter, Island Conservation (IC) began collecting baseline data and drafting operational plans, including a strategy to mitigate harm to wildlife and ensure that a reinfestation does not occur once the rats have been removed. 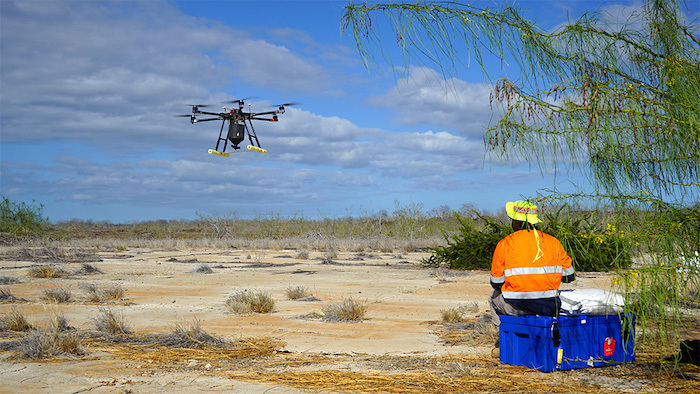 In January 2019, with support from IGTOA and other organizations, IC began the eradication campaign by using drones to drop poison on Seymour Norte. Bait application will be completed by early February 2019. Sound science is at the core of all successful conservation efforts in the Galapagos Islands, which is why IGTOA is proud to announce that it is awarding $25,000 in general operating funds to the Charles Darwin Foundation (CDF) this year. Founded in 1959, the CDF operates under agreement with the Government of Ecuador and provides scientific knowledge and technical support to government institutions, including the Galapagos National Park, in order to help ensure the lasting conservation of the islands. The CDF operates the CDRS, the oldest, largest, and most successful scientific research institution operating in the Galapagos Islands. It is one of the most popular visitor sites in Puerto Ayora on the island of Santa Cruz. Over 100 scientists, educators, research assistants, support staff, and volunteers from all over the world take part in this effort. Ninety percent of the organizational staff is Ecuadorian, and the CDF is committed to providing training to residents of the Galapagos to become future scientists. The little vermillion flycatcher is one of the most striking birds in the Galapagos Islands and is a favorite sighting for many visitors. Two species are endemic to the islands and are related to vermillion flycatchers found in the mainland Americas. Sadly, invasive species, such as hill raspberry, have crowded out native flora and decimated the flycatcher’s natural habitat, including the endemic insects on which it feeds. 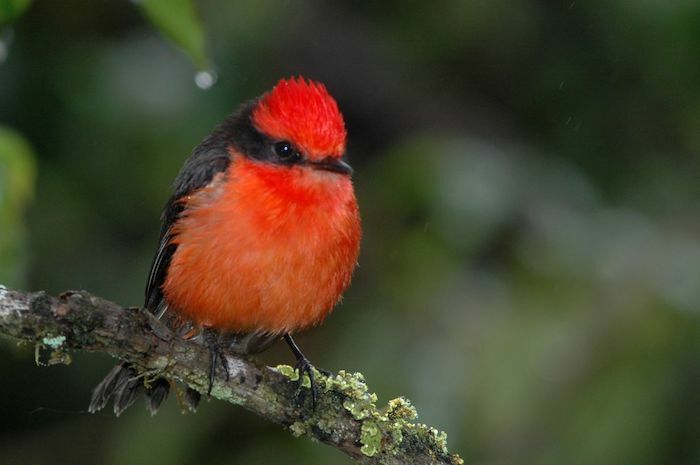 On Floreana, the vermillion flycatcher has gone locally extinct and it is believed to be extinct on San Cristobal as well, after a 2019 survey. On the island of Santa Cruz, there is a small breeding population in the upper western highlands, but invasive plants are abundant there and the species’ future is in doubt. Dr. Godfrey Merlen, a well-respected Galapagos biologist and conservationist is spearheading a three-year initiative to rid this habitat of invasive plants in order to help restore native plant species, along with insects that cohabit these plants. The goal is to stabilize the flycatchers’ population, maximize breeding success, and ensure that the species does not go extinct. IGTOA’s funds will be used to pay a crew to remove invasive plants. 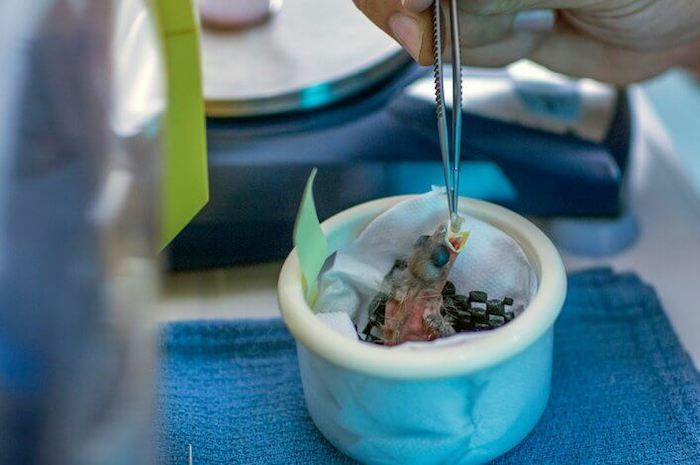 The Charles Darwin Foundation’s Small Bird Group and the Galapagos National Park Directorate will monitor the project. Matt is the Executive Director of IGTOA.